Gautam Ivatury is co-founder and Head of Product at ArthImpact Finserve (making digital loans in India under the Happy Loans brand). He co-founded Arth with digital finance pioneer Manish Khera in 2016, and is also CEO of Arth Labs, Arth’s US-based technology and innovation arm. After stints on Wall Street and at the IFC, Gautam was the first CFO at SKS Microfinance. He then joined CGAP (World Bank) where he setup and ran the $26 million Gates Foundation-funded CGAP Technology Program to shape and fund digital finance projects with firms such as IBM, Vodafone, and Equity Bank in countries including India, Pakistan, Kenya, Ecuador and the Philippines. Gautam’s team also ran customer research and trainings for regulators and policy-makers in dozens of countries. In 2009 Gautam co-founded Signal Point Partners, which incubated JipangeKusave -- Kenya's first credit/savings product on M-Pesa and the precursor to M-Shwari -- as well as M-Kopa Solar in Kenya and MeraDoctor in India. At Signal Point, Gautam advised global players including Microsoft, VISA and Safaricom on mobile services strategy. As Chairperson of the GSM Association's Gates-Funded Mobile Money for the Unbanked Fund, he oversaw grant-making to dozens of mobile operators in emerging markets to develop "mobile money" programs. 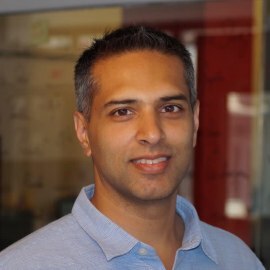 Gautam is an investor in fintech startups, a Director of Vaya Finserv (one of India’s fastest-growing micro-lenders), Chairperson of MeraDoctor/Paycillin, a Senior Advisor to Encourage Capital’s financial inclusion private equity fund, and has been a Senior Advisor to Accion Venture Lab and the Microfinance Information eXchange (MIX).